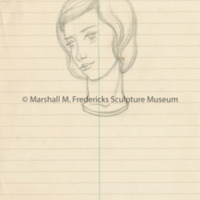 Unidentified female portrait, possibly unrealized. 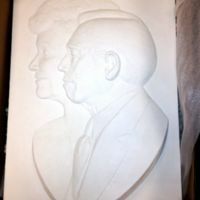 Plaster relief of Ruth and Orville Merillat. 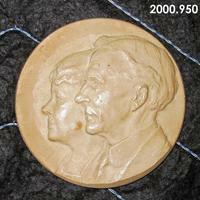 Small plaster medallion of Henry and Clara Ford. 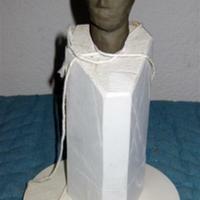 The color is off white probably from the releasing agent used in the mold. 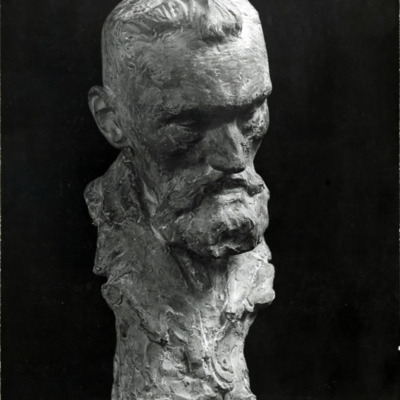 Not a Marshall Fredericks work. 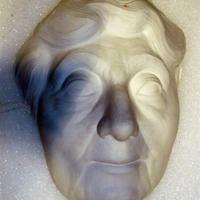 Unknown plaster portrait of an old woman. 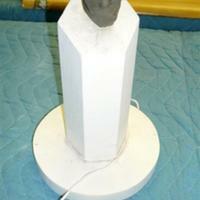 Small rubber mold for Blain relief. 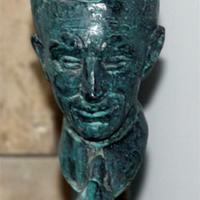 Mold is quite dirty and seems to be suffering from dry rot. 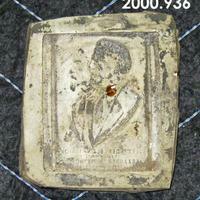 Copper cast portrait relief of George and Ellen Scripps Booth. 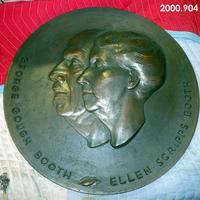 Text on the relief says "George Gough Booth Ellen Scripps Booth".